Ooligan is not the only rebranding I’ve worked on this term. I wound up reworking one of my own designs for the MAPS team, a group of peer mentors that I am responsible for organizing. Conveniently, this means I can change the look of our brand whenever I want, because I have the power (please read that in a He-Man voice because I think he says that). Anyway, long story short, I had to update the logo to make it digital-friendly. It lost a bit of it’s character, but it’s sleek-looking! Also, I learned what kerning was. All of the revised work fits with Portland State University’s visual branding guidelines, which is probably important if this mentor group is going to have any longevity. Hooray for learning graphic design things! 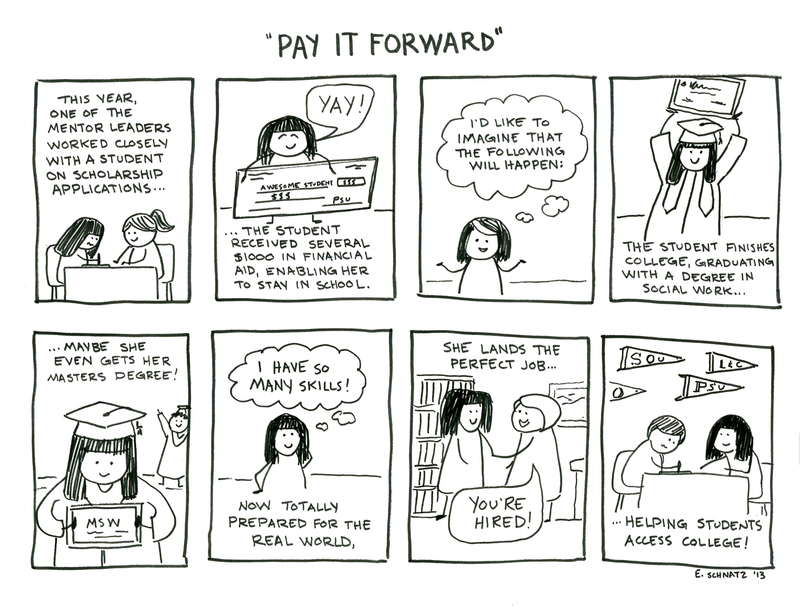 One of the mentor leaders did work with a student to get her several thousand dollars in scholarship money. So awesome. Advising at Portland State is a bit of a mess. 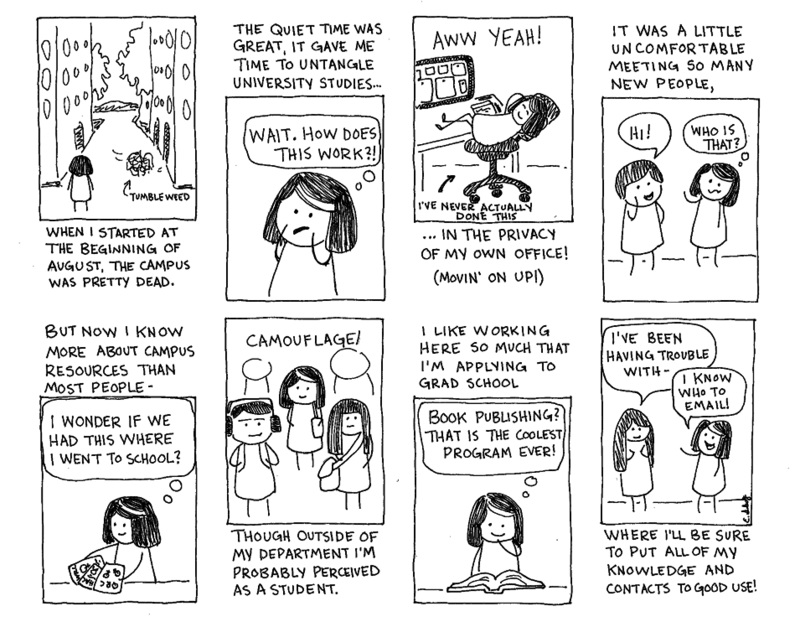 I’m sure students have similar experiences at campuses all over the country. 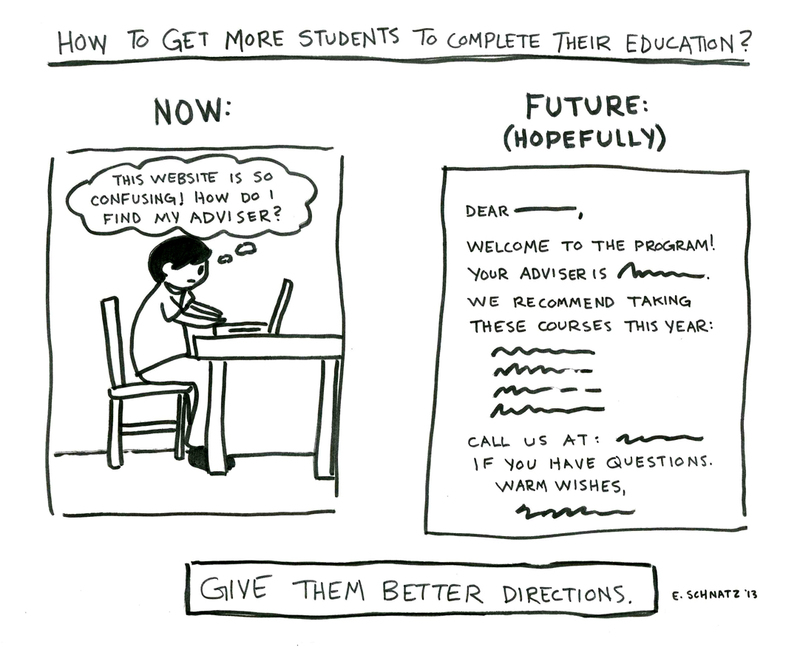 We need better advising systems so students aren’t taking classes they don’t need! Welcome to the first installment of something that will hopefully become a permanent fixture of my sketch blog: Friday Afternoon Comics! 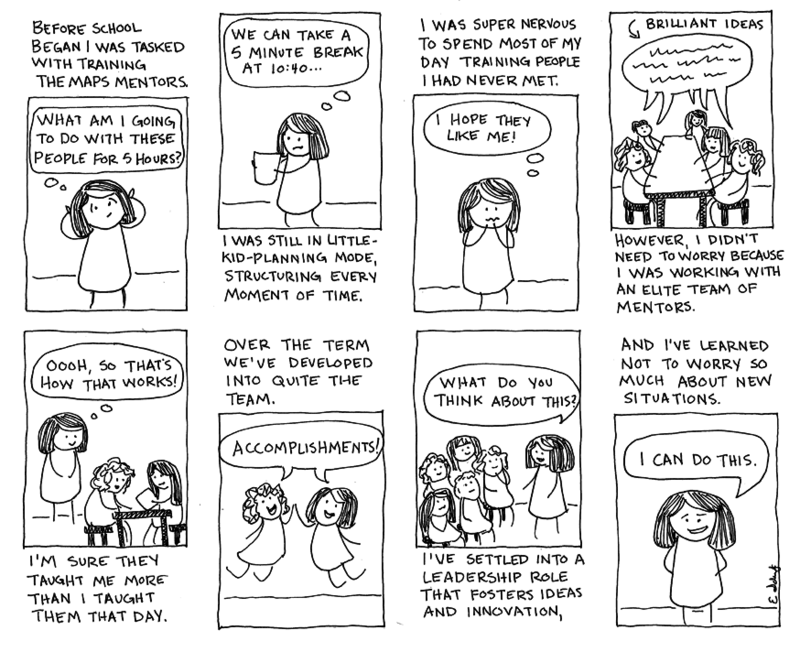 I created the comics below as a response to some personal reflection questions in my AmeriCorps mid-year report. For those of you unaware of AmeriCorps, it’s like the Peace Corps, but within the United States. There are AmeriCorps programs all over the place focusing on different themes and missions, this year I am working in a program called Oregon Campus Compact at Portland State University. Our focus is on student retention through mentoring programs. I’ve gained a lot of great knowledge and experience serving so far. You don’t really need to know any of that to read these, but they probably make a bit more sense if you do. I am pretty good at writing in ALL CAPS. 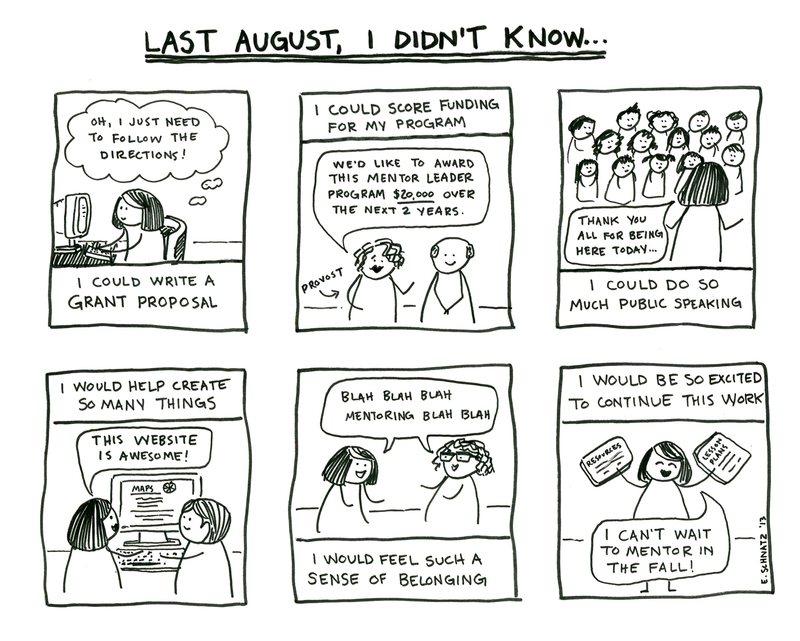 At the beginning of August I began my new AmeriCorps position at Portland State University. My official title is Retention Project Program Assistant (fancy, I know) and it comes with perks. Like my own office. There’s also this amazing copier that can scan in documents and send them as e-mail attachments, which blew my mind. It’s also how I got all of the images for this post onto my computer. I like how it turned out. Plus now I feel like I’ve done something productive (I’ve done a lot of reading at work but not much else). It’s always fun when I can use my art skills for good. Quick note: there is a rose in the center of the compass because one of Portland’s nicknames is “Rose City”. Knowledge is power!